While March and April can bring some of the best snow of the season—20 inches and counting in the first 18 days of March—they are also known for warming temperatures and plenty of sunshine. Leave those extra layers and bulky jackets at home; less gear means more room for friends in the car! Plus, without the need to take warm-up breaks throughout the day, you’ll rack up that vertical in no time, leading to…. There’s nothing like enjoying a cold beer and a plate of nachos post-skiing. Come on, you’ve earned it, and already burned off twice those calories (right?!)! Longer spring days mean afternoons lounging on the deck at Kickapoo, the patio at 9280’ Taphouse and in Adirondack chairs at Labonte’s Beach. Soak up those late afternoon rays and work on your goggle tan and be sure to take a “selfie” that will truly make everyone at home jealous. Spring sun and powder equal the skiers delight known as “mashed potatoes.” The soft, not-yet-slushy, texture of Spring snow is perfect for fun laps all over the mountain. Once you start, you won’t want to stop, just like when you attack that bowl at the Thanksgiving table. Don’t worry; this one isn’t as cruel as it sounds. 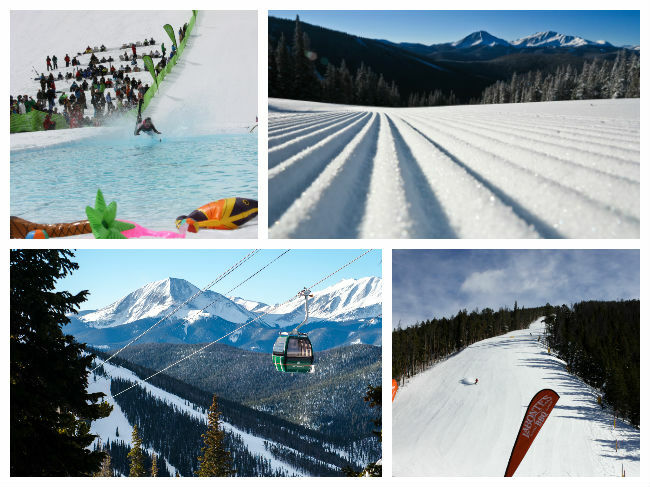 Closing Weekend will be celebrated with Keystone’s fourth-annual Slush Cup event, Sunday, April 20th. Wearing outrageous costumes, skiers and riders will compete for great prizes as they try to make their way across a man-made pond. The best part? Prime viewing from the Mountain House Last Lift Bar and BBQ. Hey, they signed up for it, you’re just there to enjoy the show! Can’t make it on the 20th? Keystone has a backup plan with the second-annual Red Bull Schlittentag, Saturday, April 5. Schlittentag is the German word for “sledding day” that translates to daredevils willing to propel themselves on a hand-built sled down a snow-covered hill. It’s as good as it sounds, with high entertainment value and once again, easy viewing from the Mountain House base area. Skip the traffic, extend your après gathering and enjoy a second day on the mountain, all made possible by fantastic Spring offers. With plenty of rooms available for less than $150/night, you’ll be saving that hard earned cash, which you’ll need for summer adventures and wedding season. Save up to 50% on Keystone lodging through April 20. The Holidays are long over, the Spring Break crowds have dispersed, and the mountain is now all yours for the taking. Empty groomers, seemingly endless powder stashes and no lines at lunch; you can shout for joy, but only your crew will be around to hear. You have your tickets for the summer’s hottest shows, but you don’t have to wait that long to enjoy some great live acts. Keystone just announced DJ Logic will open for Arrested Development, live from the River Run stage, Saturday, April 12. Stake out a seat on the 9280’ Taphouse patio and enjoy the show! the mountains with keystonetickets.com. Every day, through April 20, you can purchase lift tickets for just $79, a savings of 25% or more off window rates. Best of all, you can purchase up to the night before! Making a Friday excursion? Purchase online at keystonetickets.com until 11:59 p.m. Thursday and you’re good to go. April is deal season across Keystone, and during your Spring stay you can enjoy two of Summit County’s best restaurants with two-for-one specials. The Keystone Ranch is situated on the Ranch golf course with sweeping views of mountaintop vistas and spectacular sunsets. You can enjoy the five-course menu for just $75 for two, April 8-12. Or, toast to the end of the season, April 17-20, in the quaint Ski Tip dining room where you can enjoy an exquisite four-course meal from Executive Chef Brian Baker for just $72 for two people, complete with dessert served fireside. It has been more than a decade since Keystone was open as late as April 20; toast to an incredible season with late Spring turns, amazing events and general mountain fun during the resort’s Closing Weekend celebration, April 19-20. 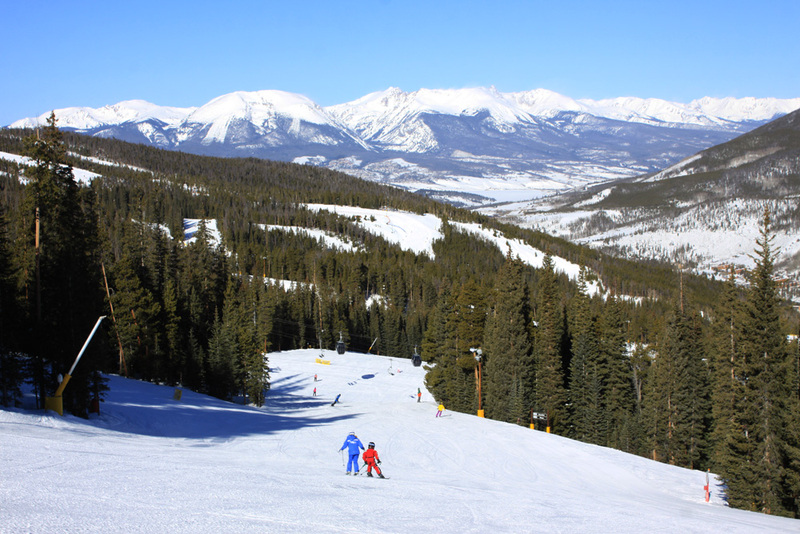 Keystone continues to be 100% open with more than 3,100 acres of skiable terrain. Find late-season powder stashes in the trees on the Outback, cruise groomers on North Peak or visit the famed A51 Terrain Park; it’s been nearly six months since the 2013-14 Opening Day on Nov. 1, but time is running out to enjoy one of the best seasons in recent history.